Kaeto will be graduating this year with a Music Performance degree (emphasis in guitar) from CSU-Pueblo. He studies classical guitar and is an audio engineer. Allison graduated from CSU-Pueblo with a Music Performance degree (emphasis in voice). She has been singing and playing piano from a very young age and has years of experience coaching bands and vocalists of all ages. Josh is currently studying business management at CSU-Pueblo and has been playing drums his entire life. He is a session and live touring musician and is also a talented producer and audio engineer. Traemon has been playing bass guitar for over 20 years. He trained classically but has learned to play a variety of genres. He is a studio and live musician and a songwriter and vocalist. Jon has been playing piano for 15 years and graduated from Adams State University with a degree in Music Composition. He writes instrumental rock music for keyboards and currently has one album out and working to release a second. 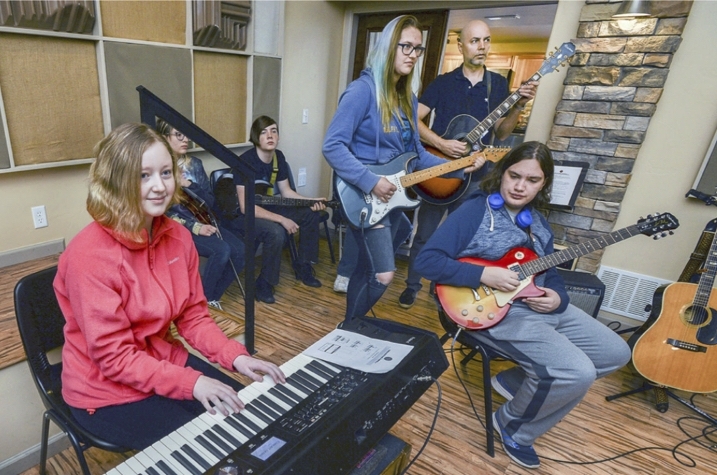 Perfect World is now offering music lessons on Fridays for all ages. We have amazing teachers for drums, bass, piano, guitar, vocal and technology! Perfect World Music Academy started our partnership with Goal Academy High School in August of 2017. 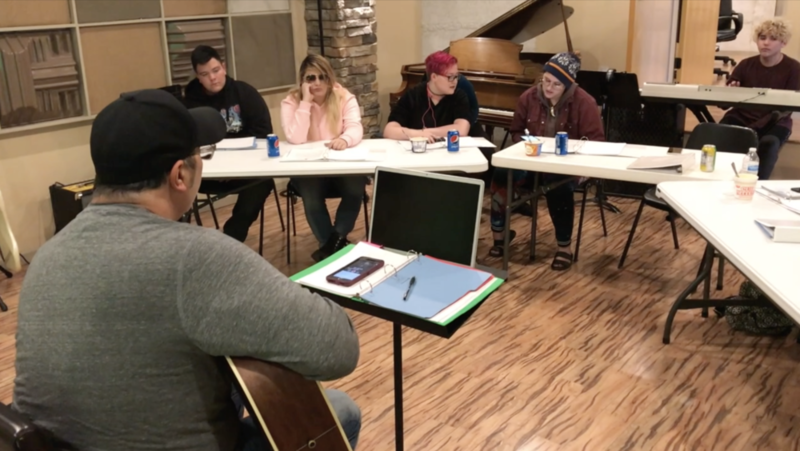 We are having a fun time seeing kids progress in their skills through our own curriculum in music, songwriting, production and technology courses. These courses will soon be published and available for use in your class room around the world. Carl Lucero ha created a certified program that is fun, and has a unique way of hands on learning that students love. We connect and collaborate with a rapidly growing network of musicians who are passionate about what they do. Students learn from educated, organized instructors that support our students every step of the way from private lessons to class room settings. We turn students with a passion for music into skilled and educated musicians that leave our program ready to step into professional careers. Nothing like the rock band video game - this is where kids come for fun. Learning to play instruments, building confidence while developing your musical skills, not to mention making friends in the process. Whether you are a musician or just love music, we are simply looking for students that have a passion and want to learn more. Perfect World’s easy to follow, in-depth study of technology and techniques of contemporary multi-track music recording. Lectures and labs focus on modern recording techniques, the analog and digital audio hardware/software installed in a recording studio, and real-time experience in a professional studio environment. Laboratory required. Utilizing a hands on approach, we focus on how commercial music is made from the conception to a completed track. Our students work with live musicians and in professional recording studio labs. Laboratory required. Do you like to write? Are you a poet? Do you find yourself writing songs in your spare time? This course will help you develop skills to create original songs based on groove, melody, lyric, harmony and structure. Students are expected to play guitar or piano as well as sing. Carl is the owner of Perfect World Company. He is a Grammy Award winning Recording engineer who is well known as a producer, songwriter and artist who has over 25 years of experience in the music industry.